Our last night in Rome at the Fountain Restaurant. 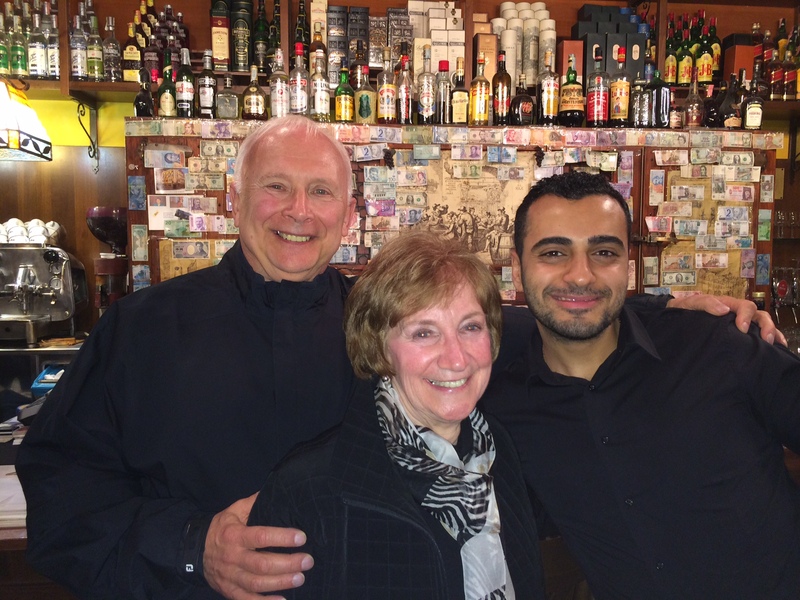 With our great waiter, Peter. A ROMAN HOLIDAY. MARCH 26, 2014. 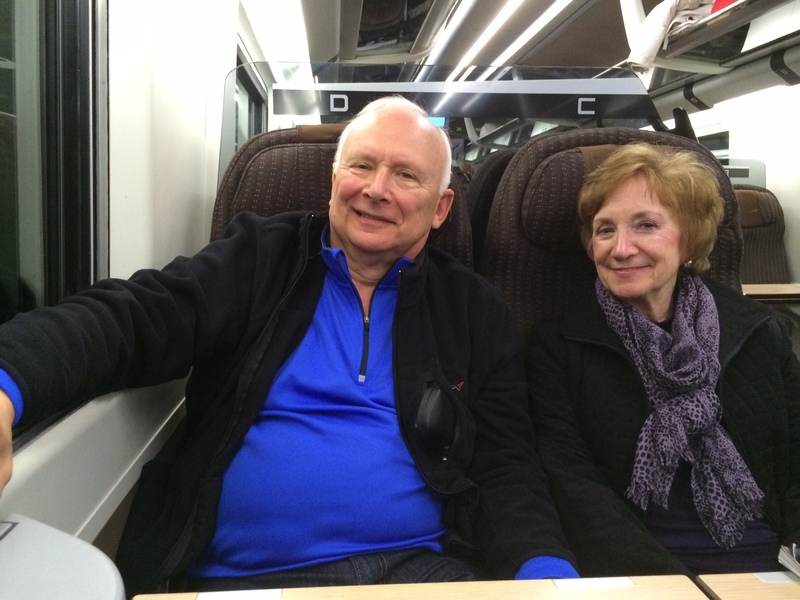 On the bullet train from Rome to Florence, Italy. A ROMAN HOLIDAY. March 26, 2014. 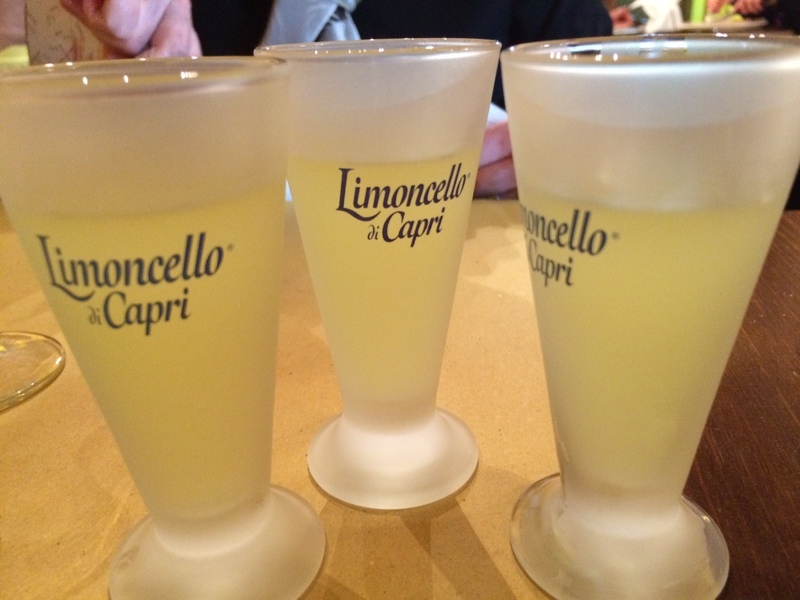 Another type of after dinner drink, Limoncello. Made famous in Italy. HEY ROMAN HOLIDAY. March 26, 2014. 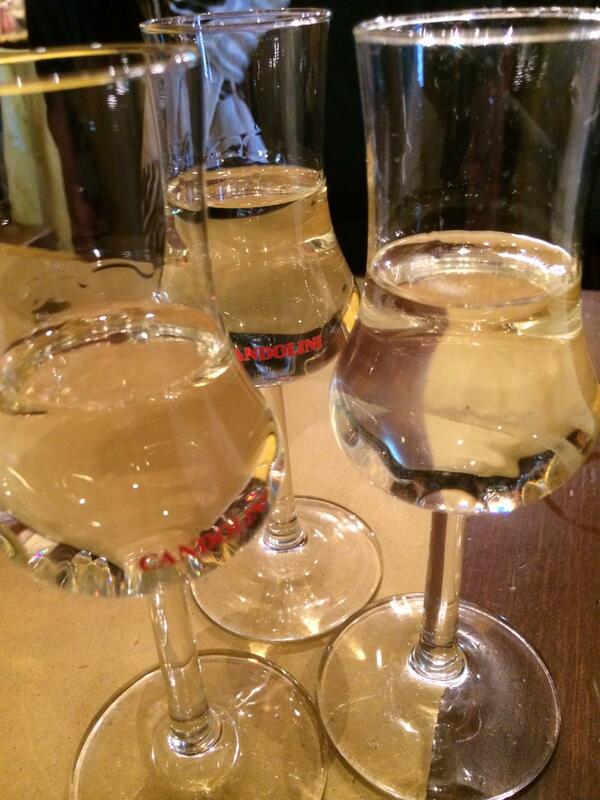 A type of drink served in Rome after a dinner. Rome, Italy. A ROMAN HOLIDAY. March 26, 2014. 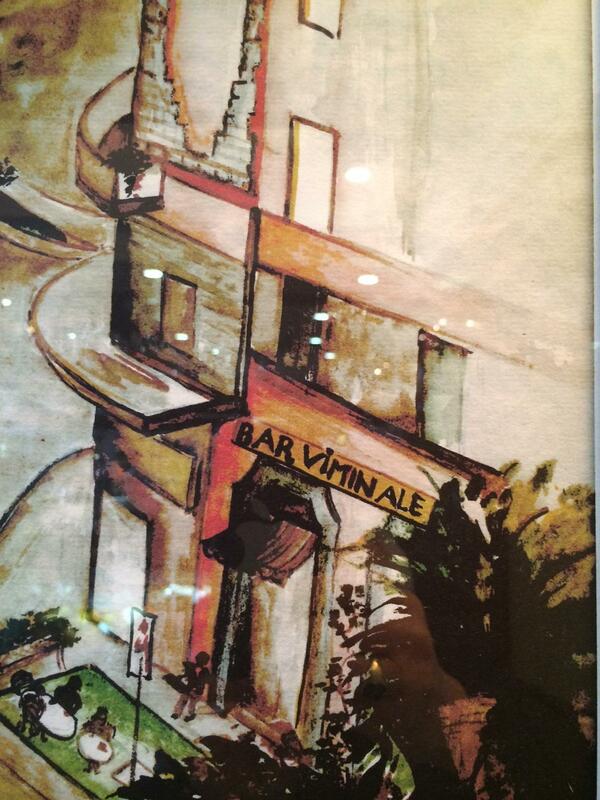 A drawing of our favorite bar in Rome, the Bar Viminale. A ROMAN HOLIDAY. March 26, 2014. 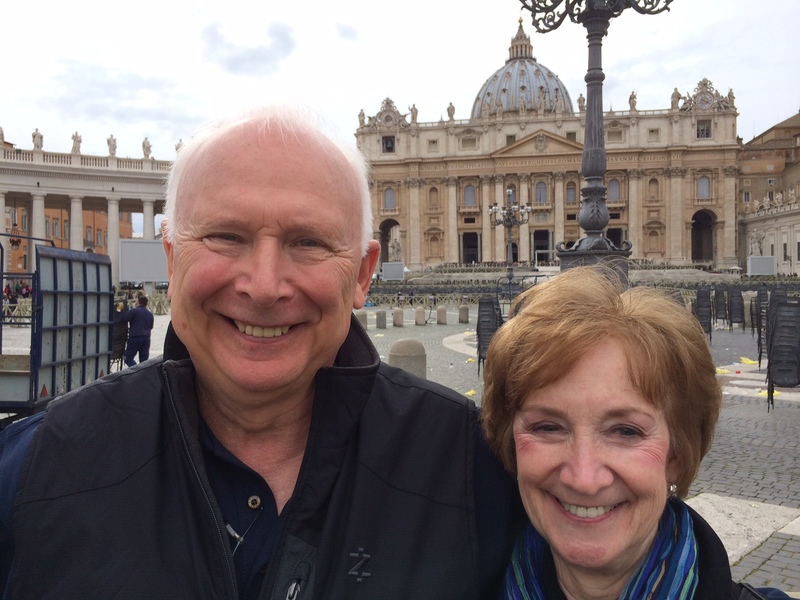 Jim and Barb in front of St. Peters Basilica. Rome, Italy. A ROMAN HOLIDAY. March 26, 2014. 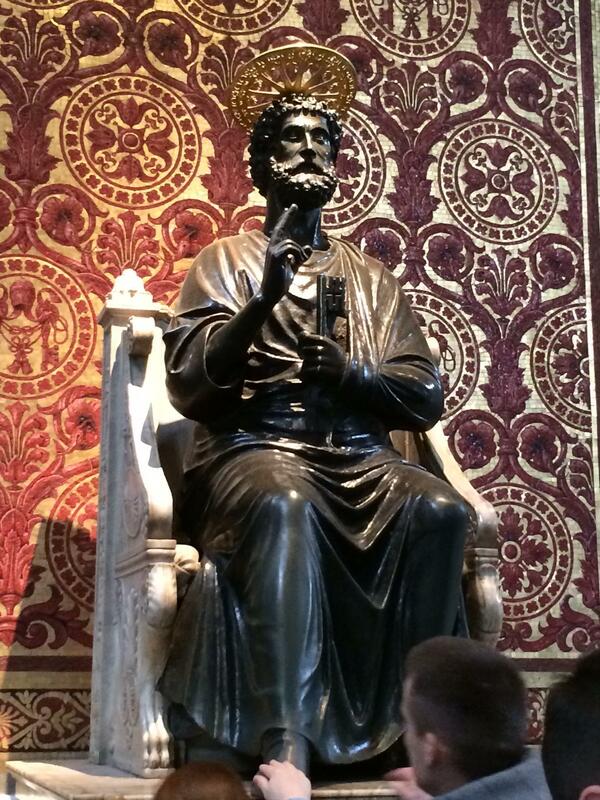 The 1700 year old statue of St. Peter. St. Peter’s Basilica, Rome, Italy. A ROMAN HOLIDAY. March 26, 2014. 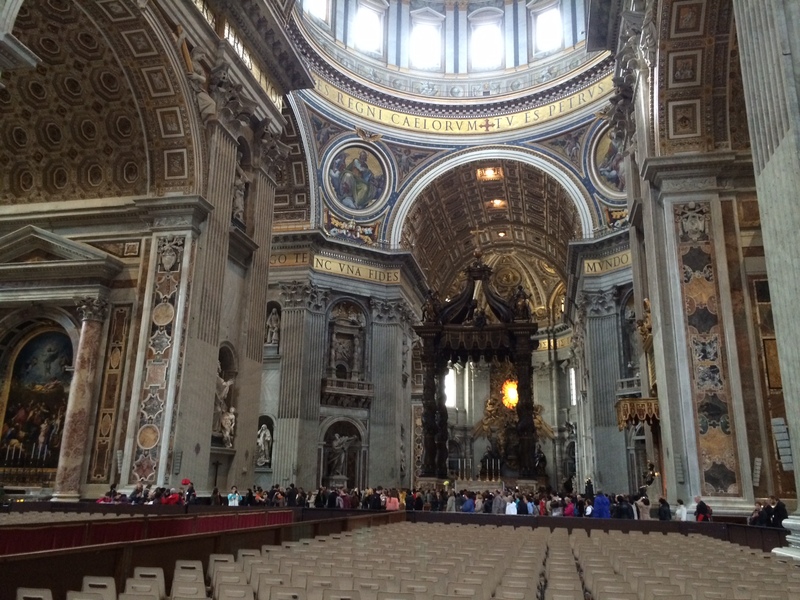 The interior of St. Peter’s Basilica. Rome, Italy. A ROMAN HOLIDAY. March 26, 2014. 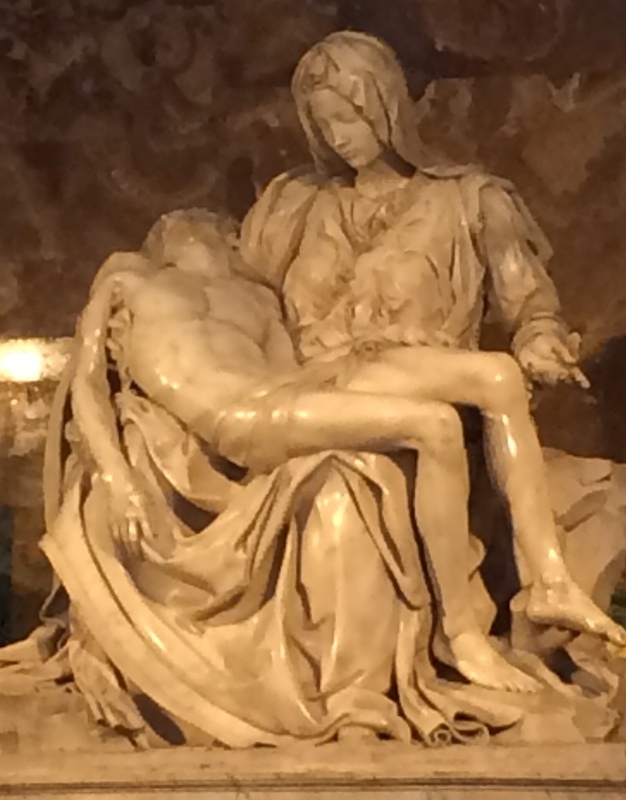 Michelangelos Pieta. St. Peter’s Basilica, Rome, Italy. A ROMAN HOLIDAY. March 26, 2014. 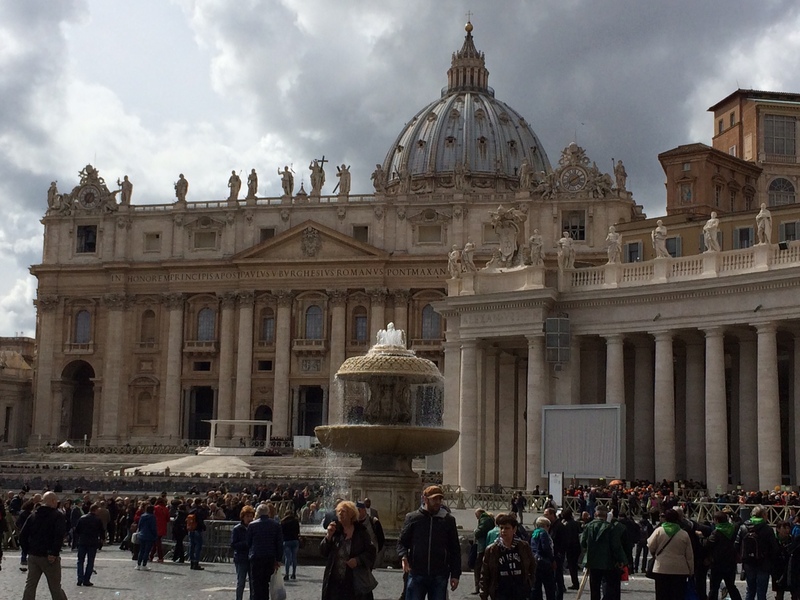 St. Peters Basilica and Square. Rome, Italy. A ROMAN HOLIDAY. march 26, 2014.